You’ve already got a great 1911 but you want to shoot a different caliber out of it. No worries, we’ve got the master list here of what you need to change out. For each caliber change you’ll need to swap out the barrel, recoil spring, magazine, and ammo. Outside of those core caliber specific parts, it depends on what you’re starting with. 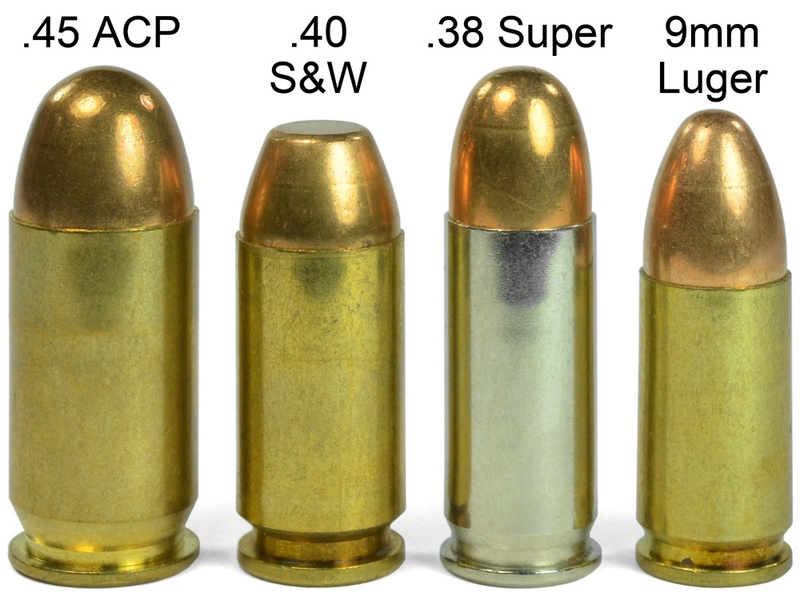 .45 ACP doesn’t play well with others so changing from, or to, .45 ACP requires all the caliber specific changes. Again, sister calibers. 10mm and 40S&W have an equally short list. This is the medium list. These calibers all share a bit more parts but not quite as many as going between sister calibers. Extractor – this one is not true for all cases. Many extractors work with 9mm, .38S, 10mm and 40S&W while some manufacturers will have a 10mm/40S&W specific extractor. As you can see, changing out your caliber isn’t such a daunting task. For most calibers, it’s a minor operation. If you really like to tinker around, there do exist universal ejectors that work with .45 and all others. Outside of that, for 9mm, .38S, 10mm, and 40S&W… you can easily create your top ends of choice and in a way, hot swap your upper. between the various calibers. Barrels come in 3 varieties for their ramp. When changing out your caliber, make sure the the ramp type remains the same or it won’t work for your frame! Barrels also come in 2 varieties for their front end. They can be bull barrels or bushed barrels. Bull barrels use a reverse plug instead of a standard guide rod plug and barrel bushing. If you are swapping between bull and bushed, make sure that you also change out the reverse plug with the guide rod plug and barrel bushing. Also note that if you’re using a bull barrel and a reverse plug, you should use a guide rod that either has a take-down hole in it, or is a 2 piece guide rod.